A measure of where the economy is headed turned positive for the sixth consecutive month, according to a new report, as a separate one showed another big gain in e-commerce retail sales. The Conference Board’s Leading Economic Index (LEI) for the U.S. increased 0.4% in April to a reading of 109.4, in line with advance estimates from analysts, and following a 0.4% increase in March and a 0.7% increase in February. The private research group’s measure uses 10 metrics of economic performance. “April’s increase and continued uptrend in the U.S. LEI suggest solid growth should continue in the second half of 2018. However, the LEI’s six-month growth rate has recently moderated somewhat, suggesting growth is unlikely to strongly accelerate,” said Ataman Ozyildirim, director of business cycles and growth research at The Conference Board. 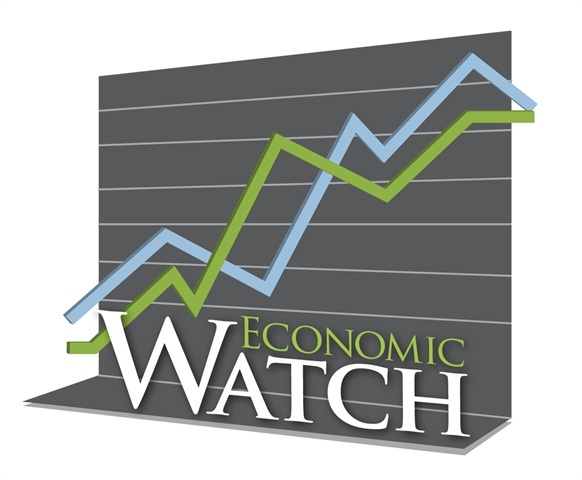 The Conference Board Coincident Economic Index for the U.S., which measures current economic conditions, increased 0.3% in April to level of 103.5, following a 0.2% gain in March, and a 0.2% improvement in February. The group’s Lagging Economic Index for the U.S., which measures past conditions, rose 0.3% in April to 104.7, following a 0.1% decrease in March, and a 0.3% rise in February. This latest report may dampen some recent expectations by analysts who believe overall U.S. economic performance will be better in the second quarter of the year than it was in the first quarter. The first quarter gross domestic product increased at an annual rate of 2.3%, down from a 2.9% pace in the final quarter of last year. It was pulled down by the smallest improvement in consumer spending in five years. U.S. retail e-commerce sales for the first quarter of 2018, adjusted for seasonal variation but not for price changes, was $123.7 billion, an increase of 3.9% from the fourth quarter of 2017. Total retail sales for the first quarter of 2018 were estimated at $1,3 trillion, an increase of 0.2% from the fourth quarter of 2017. The first quarter 2018 e-commerce estimate increased 16.4% from the first quarter of 2017 while total retail sales increased 4.5%in the same period. E-commerce sales in the first quarter of 2018 accounted for 9.5% of total sales, up from 9.1% in the final quarter of last year, while it compares to an 8.5% share in the first quarter of 2017.